We’d love your help. Let us know what’s wrong with this preview of Fire in the Soul by Dinyar Godrej. Supporting Amnesty International, this is a rousing collection of poems by an international array of poets, mixing well-known names with relative newcomers. They are as much about assertiveness and hope as they are about injustice and the outrages that scar human history. One hundred poems deal with colossal historic events (for example, Siamanto's "The Dance," about the Ar Supporting Amnesty International, this is a rousing collection of poems by an international array of poets, mixing well-known names with relative newcomers. They are as much about assertiveness and hope as they are about injustice and the outrages that scar human history. One hundred poems deal with colossal historic events (for example, Siamanto's "The Dance," about the Armenian genocide), as well as more domestic concerns (Rita Ann Higgins' exploration of deprivation in Ireland, for instance). To ask other readers questions about Fire in the Soul, please sign up. Excellent read. As with any anthology, there were some I loved and some I skimmed over, but this has a fascinating range of voices. I really liked having the mini bios of each poet for each poem, it put the poems really well into perspective. 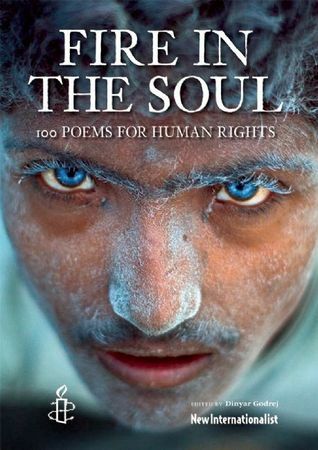 This collection of poets from around the world explores the theme of basic human rights. Although many of the poems deal with human rights violations (such as genocide) or are written by poets who were imprisoned for their beliefs, they are not poems of defeat; they are demonstrations of the strength of the human spirit. This was an eye-opening anthology of poems. The inclusion of poets from around the world really showed how many different types of human rights violations have occurred and how t This collection of poets from around the world explores the theme of basic human rights. Although many of the poems deal with human rights violations (such as genocide) or are written by poets who were imprisoned for their beliefs, they are not poems of defeat; they are demonstrations of the strength of the human spirit. I really enjoyed this anthology of poetry. I absolutely loved 'The True Prison' by Ken Saro-Wiwa and 'Some People' by Rita Ann Higgins. I will definitely be buying more of Rita Ann HIggins work as a result of this collection. Psalm, by wislawa szymborska is an all time favorite. Dinyar Godrej has been associated with New Internationalist since 1989, but joined as an editor in 2000. His interest in human rights has led him to focus on subjects like world hunger, torture, landmines, present day slavery and healthcare. His belief in listening to people who seldom get a chance to represent themselves led to unorthodox editions on (and by) street children and people with disab Dinyar Godrej has been associated with New Internationalist since 1989, but joined as an editor in 2000. His interest in human rights has led him to focus on subjects like world hunger, torture, landmines, present day slavery and healthcare. His belief in listening to people who seldom get a chance to represent themselves led to unorthodox editions on (and by) street children and people with disabilities from the Majority World. He grew up in India and remains engaged with South Asian affairs. Dinyar wrote the original No-Nonsense Guide to Climate Change (2001) and edited Fire In The Soul (2009).